Pipe Dream (Pipe Mania) is one of my favourite puzzle game that I played during the DOS game era. 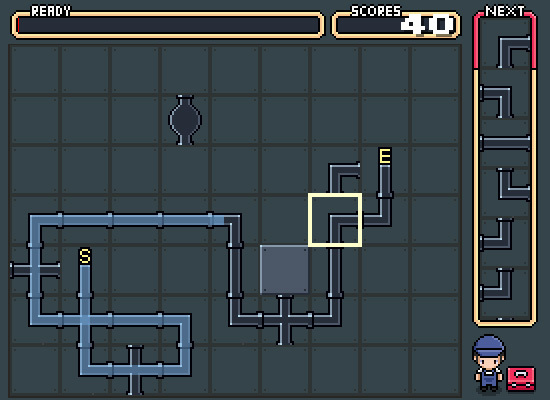 In this game, player have to construct a path from the starting pipe for the ongoing water, which will begins to flush after a short delay time. I am always interest with its game logic and mechanic. So, I spend some time to redevelop part of this game with Flash AS3 in 2012. 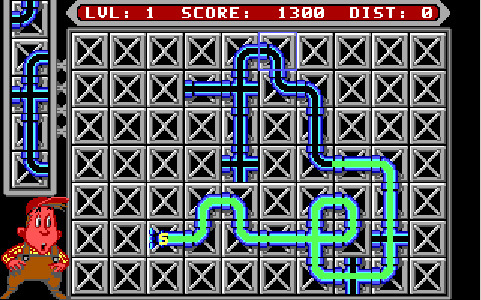 Using a variety of pipe pieces presented randomly in a queue, the player must construct a path from the start piece for the onrushing sewer slime, or "flooz", which begins flowing after a time delay from the start of the round. 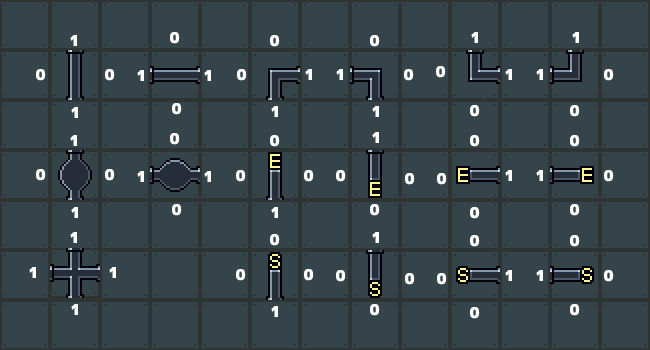 To code this game, we can list down all the tiles (pipes) and mark their opening side with 1(true) and closing side with 0 (false). This value will indicate whether an incoming water can flow into this tile, and which direction the water will be leaving. In this original DOS game, there are also one direction pipes. To code those pipes, we will need to include another layer of condition checking. 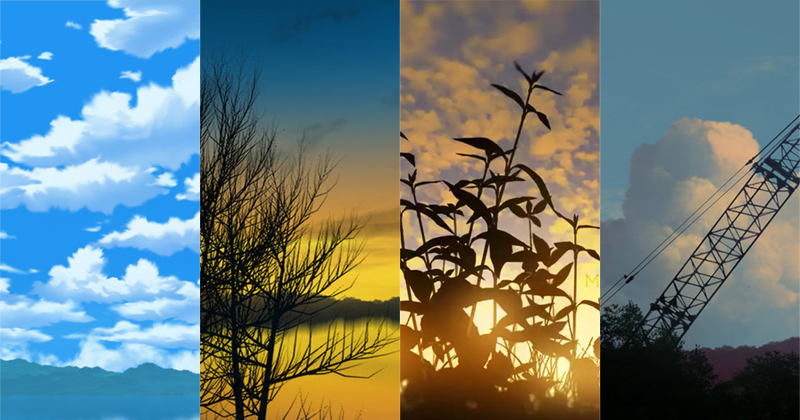 In the original game, player will need to achieve a certain "distance" target to win a round. In my version, you just need to connect the starting pipe to ending pipe to win. You can play "Pipe Dream Flash Game" in my deviantart.